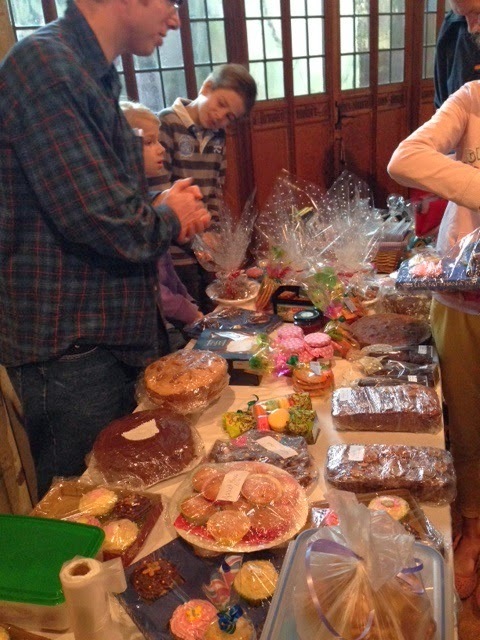 Many thanks too, to those who baked cakes and sold them after the service - they were as good as they look. (Thanks to Jenny Elliott for the photo). Thank you to the choir as well, for a great rendition of "For the beauty of the earth." To read more about Creative prayer see Monday's post here. Jesus saw the crowds, not just as a mass of people, but as individuals, harassed and helpless. Often we forget that those we see on the news or in the shops, or on the train on the commute to work are individuals, each with a story. Many will be carrying all sorts of burdens we will never know about. Either - find some pictures of people from a newspaper or online news site. Or - take some time just to sit in a place where there are a lot of people. Look at the strangers around you (don't stare intrusively, or they will probably have you arrested...!). Whether you are looking at photos or real people, think about who they might be and what their lives might be like. Think about how they might be feeling and why. You won't know whether your guesses are right, of course, but think about what it would be like to live their lives and quietly pray for them. Be aware of how this changes the way you feel about those people. An exercise that is sometime used to help people deal with bereavement is to make a memory book or box, gathering things together that remind them of the person they have lost. Sometimes parents or grandparents of young children might make one if they know they are dying, so that the child will have something to hold onto of them when they die. But why confine this to such tragic circumstances. Today's suggestion is that you think about what you would put in a memory book or box to sum up your life so far. (You could even make a memory book or box if you have time). Think through your life. What are the key things, the important people, the events that changed your life for good or ill, the decisions, good and bad, which shaped you? What would you want to leave with those you love or bequeath to the future from your life? As you ponder them ask God whether there is any "unfinished business" you need to deal with, or things you wanted to do which you have been putting off. Draw an outline of a cross on a piece of paper. Fill it in however you like. You could write words which suggest what the cross means to you. You could draw or make patterns on it. You could draw things that represent the things you want to pray for. You could draw scenes from your own life like this famous cross from El Salvador which depicts the life of Maria Cristina Gomez, a teacher who was abducted and murdered for the work she did for her people. Your life may not be quite as dramatic, but through Christ God shares all that happens to us, dramatic or ordinary, sorrowful or joyful. Today's suggestion is just what it sounds like. Tell him whatever you want to. Don't worry about your spelling or handwriting - he can read it just fine. You could draw pictures instead of writing if you prefer. You might want to decorate your letter in some way. When you have written the letter, what will you do with it? You might want to burn it, or tear it up. You might want to keep it. You might want to share it with someone you trust. If you like writing, why not do some more of it as a prayer activity? You could write poems, stories or keep a journal. Many religious traditions use prayer beads of some sort. We are probably most familiar with the Catholic rosary, but Muslims also often pray using a string of beads, as do other faiths. The number of beads varies, and so do the prayers assigned to them. That means that there really is no right or wrong way of using them! Find some beads, buttons, cut up bits of tubing or straws... anything you can thread onto a string. Find some string, or ribbon, or shoelace...anything you like that beads can be threaded onto. If you haven't got any beads or buttons, you can do this exercise simply by tying knots in the string. The aim is simply to have a number of things to feel with your fingers which will act as prompts for prayer. Assemble your objects. Start by choosing one to be the centring bead, which you will start your prayer with it. Thread it, then tie a knot to keep it in place. If you are simply knotting your string, just tie one large knot. Then think of the things you want to pray for on a regular basis, and choose a bead for each. You might like to have a bead for thanksgiving, a bead for confession, beads for members of your family, a bead for prayer for those you know who are in need, a bead to remind you to pray for something you've seen or heard on the news, a bead that represents the day that is gone, or the day that is to come... It is up to you. Christians have often also assigned classic prayers, like the Lord's Prayer to beads. If there are some favourite prayers or Bible verses you'd like to include you could do that. Don't have so many that you can't remember what they are though! To use the beads, start with the centring bead, and hold it as you take a moment to remember that God is with you. You might like to pray "God be with me in this place." Slowly work through each bead, holding it for a moment as you pray for whatever it prompts you to. Don't rush, and don't feel you have to say a lot - just holding that person or issue in your mind in God's presence is enough. This is a good site for the creative use of prayer beads. God the Creator made us in his image according to the Book of Genesis (Gen 1.26). That means that we are creative too. It is a characteristic of human beings from our earliest history, when our ancestors drew on cave walls or made statues of beings that had never existed, except in their imagination. You might not think of yourself as creative - many people were put off at school by feeling that their attempts at creativity were being judged and found wanting, or that they just couldn't produce finished work that looked as good as that of their friends or teachers. But if we stop worrying about "getting it right" we can all discover the joy of being creative. This week I will be encouraging you to try your hand at some creative activities. None of them are complicated or difficult, and no one will judge what you have made. Some activities might come more naturally to you than others, but try them all. As with all the other prayer suggestions in this series of Lenten blog posts, the hope is that somewhere in all of this you will find some new ways of praying that help you to come into God's presence. 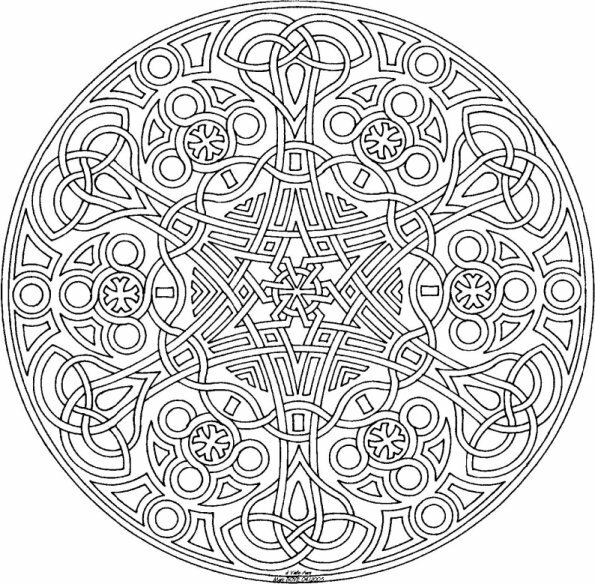 Print out a mandala - a circular pattern - and colour it in. Don't think about it too much, just colour as you want to. As you do so, be aware of what you are thinking and feeling. Allow yourself to talk to God, as if he was sitting beside you as you colour. When you have finished, look at the colours you have chosen. For more detail about Ignatian Meditation see here. Be still and quiet. Thank God for being with you as you pray. Read the Bible passage through a couple of times. Close your eyes if this helps you to imagine the scene. What can I see? Look around in your imagination- what is straight ahead of you, to the right, to the left? What are you standing or sitting on? What can you hear? What can you feel? What is the weather like? Imagine the scene as vividly as you can. Then imagine the events of the story unfolding. Where and who are you in this story? Are you a bystander? A disciple? At the heart of events or on the margins? What do you say or do in response to the events of the story? What does Jesus say or do? Allow yourself time to imagine the scene. If you find it difficult to let your imagination run free, try imagining yourself telling someone else what is happening. Ponder your reactions and share them with God in prayer, saying whatever it is you need to say, and listening for his response. But on the first day of the week, at early dawn, the women came to the tomb, taking the spices that they had prepared. They found the stone rolled away from the tomb, but when they went in, they did not find the body. While they were perplexed about this, suddenly two men in dazzling clothes stood beside them. The women were terrified and bowed their faces to the ground, but the men said to them, ‘Why do you look for the living among the dead? He is not here, but has risen. Remember how he told you, while he was still in Galilee, that the Son of Man must be handed over to sinners, and be crucified, and on the third day rise again.’ Then they remembered his words, and returning from the tomb, they told all this to the eleven and to all the rest. Now it was Mary Magdalene, Joanna, Mary the mother of James, and the other women with them who told this to the apostles. But these words seemed to them an idle tale, and they did not believe them. 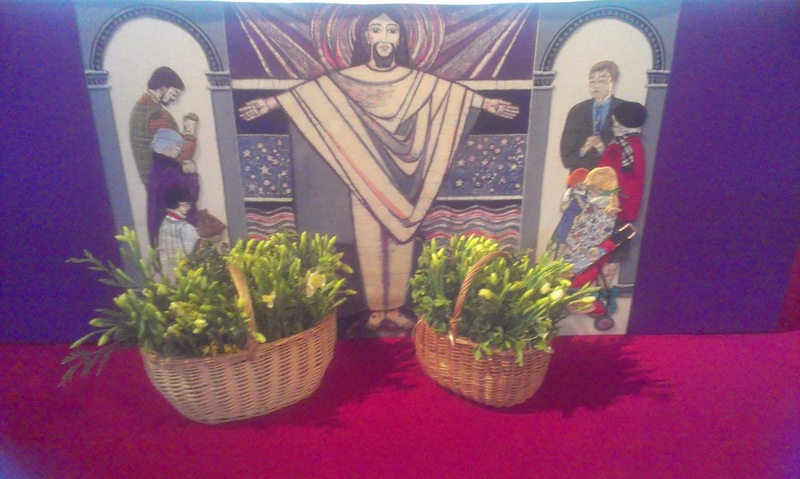 But Peter got up and ran to the tomb; stooping and looking in, he saw the linen cloths by themselves; then he went home, amazed at what had happened. St Ignatius Loyola was a 16th Century Spanish nobleman who, as a young man, had something of a reputation as a swashbuckling hothead, much addicted to stirring tales of historic heroes like El Cid. Seriously wounded when the French attached Pamplona in 1521 he was laid up for a long period and in great pain. During this time, alongside the heroic tales he was so fond of he also read De Vita Christi,(of the life of Christ) by Ludolph of Saxony, in which Ludolph proposes to the reader that he should place himself imaginatively in the scenes of Christ's life as a form of contemplation. This appealed very much to Ignatius, and he found himself profoundly moved, challenged and comforted. His heroic instincts turned towards the religious life and he eventually founded the Jesuit Order of missionaries. He developed Ludolph's techniques into what became known as the Spiritual Exercises. At the heart of these was the imaginative reading of the Bible which enabled people to feel part of the story they were reading and to be aware of their reactions to it, so that they could better hear what God was saying to them through it. The experience will vary, of course, depending on the Bible passage, but here is a brief outline of how you could begin. Sit quietly and be aware of coming into the presence of God. Ask for God's help as you read so that you can hear his voice. Read the passage several times slowly. As you read , be aware of any particular word or phrase which stands out for you. Repeat that word or phrase to yourself over and over slowly, like a mantra. Allow yourself to be aware of any thoughts or associations that come to your mind as you repeat the words and just stay with those thoughts. As your prayer time ends, be aware of what thoughts or questions you might be taking away from it, and thank God for these. This technique of pondering the Bible originates with the Benedictine monastic order. Lectio Divina literally means "Holy Reading". If we believe that God can speak to us through the words of the Bible then we need to have our ears open when we hear it, not just hearing the surface meaning, but listening for what God might be saying to us through it. The technique of Lectio Divina asks us to read slowly and to repeat to ourselves words or phrases which stand out to us. While we also might want to ask all sorts of other questions about the passage - what its context is, how the original hearers might have understood it etc. - the focus when we read this way is to be open for what the passage says to us in our own situation. It is important to realise that this won't give us an indepth or critical understanding of the passage; that is something that is also needed, but doesn't always lend itself to prayer. This week I'd like to invite you to try using this "Lectio Divina" technique during your prayer time. I have simply chosen one of the set Psalms for each day. Many faiths have prayers at set times of the day. Muslims pray five times a day, Jewish people pray three times. Christian monks and nuns in contemplative orders pray eight "offices" through the day and night. We may not have time for that, but there is some benefit in the routine and ritual of prayer, whatever its content. We can greet the day with prayer or end it with prayer, or we may find that the lunch break is a good time to stop and take a moment to reflect. It may be that all you can spare is 5 or 10 minutes. That's fine. It may be that you can't manage to pray everyday either. That's fine too. But thinking of a regular time when you can pray is a good start. Think through a "normal" day for you. What would be the most natural and helpful time for you to give a little time to prayer? No Blog post tomorrow - there should be plenty of food for thought as you gather with others to worship in church anyway! Jesus' instructions to his followers were that they should not imitate those who prayed loudly in public in order to impress others. That doesn't mean we can't pray publicly (otherwise we could never come to church) but it emphasizes that this is about a genuine relationship, which deserves private space, not about simply being seen to be doing something pious. Creating a special place for prayer can be very helpful if you can manage it. It might be a corner of a room at home where you could put a comfortable chair and a picture that inspires you. It might be somewhere you can set up each time you come to pray, with a picture, perhaps, you carry around with you. You can always slip into church to pray too - Seal Church is normally open during the day time. Or perhaps you have a favourite park bench where you can be undisturbed. It doesn't matter where it is, but it helps if there is somewhere that, when you go there, you know is your "prayer" place. Where do you (or might you) pray? Our attitudes to prayer are often shaped early in life. We may have grown up in a family that prayed, or gone to church or Sunday school and learned to pray there. We may just recall prayer as something tacked onto the end of a school assembly. We may have tried meditation as part of a self-help or relaxation programme, which may not have had a Christian basis, or have found ourselves turning to prayer in times of crisis, lighting a candle as a wordless appeal to God. Think back through your life. When, where and from whom did you learn to pray? How has your prayer life changed since then, if it has? What do you feel about prayer now - is it something you want to do, and feel positive about or does it feel like a chore, something you feel you ought to do? Think about the verse from the Psalm above. When you begin to pray, do you feel like this? "My refuge and my fortress; my God in whom I trust." There are many reasons why we might be drawn to pray. Sometimes there is an urgent need; we call out for help when we are in trouble. Sometimes we might ponder a story or Bible passage in prayer to deepen our faith. Sometimes, as with other forms of meditation, we might be seeking inner peace. All these reasons, and others I haven't thought of, are good, but the thing that unites all sorts of prayer is that through them we seek to become more conscious of the presence of God in our lives, simply to be with him. The writer of Psalm 91.1 puts it in a nutshell. It is about abiding in the shadow of the Almighty, not just visiting, but feeling that this is a place where we are at home. If we can get into the habit of awareness of God with us, then when there is something we need to say or to ask, we will be able to do so easily, just as we could easily talk to those we share our homes and hearts with. As Lent begins, think about the verse from the Psalm above. Do you feel as if you "live in the shelter of the Most High," or do you think of God as someone you might visit from time to time, or perhaps need to shout to from a great distance? On Saturday March 29th Seal C of E Primary School will be holding a Parent Organised Workforce - POW!! There are lots of small decorating jobs to tackle around the building (and possibly some not so small), and the plan is to involve as many parents and friends of the school, to come forward and participate in helping with this work. This will be a great community project, and anybody wishing to join in will be made more than welcome between 10am and 4pm. For further details, please contact Liz at the school on 01732 762 348. The disciples of Jesus asked him "Lord, teach us to pray..."
Just as it is hard to imagine a relationship with friends or family without ever seeing or speaking to them, so prayer is fundamental to our relationship with God. In prayer we come into the presence of God. As Jesus' disciples knew, though, prayer is something we often need help with. Where do we start? 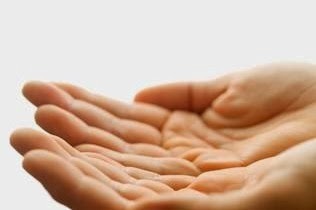 What can we do when prayer seems dry? What is prayer anyway? Many people's idea of prayer is still "hands together, eyes closed", a pattern we may have learned at school and never really revisited since. These daily blog postings (every day except Sundays) will try to open up different possibilities for prayer to help that relationship with God come alive. They are a companion resource to our Lent Study sessions on the Lord's Prayer, which are part of the Church of England's "Pilgrim" course. The blog posts stand alone, however, so even if you aren't coming to a study group, you can still follow these posts online. The blog posts are my own work rather than those of the group that produced Pilgrim - any deficiencies in them are my fault, not the fault of the Pilgrim team! The posts will fall into six sections. We will start with a few days thinking about how we can get ready to pray and then move through various different ways, both old and new - a different one each week - for enriching prayer, from classic techniques of Lectio Divina and Ignatian meditation, to creative ideas for prayer, silence, and liturgical prayer. Are you on our Electoral Roll? We need you! We are currently revising our church electoral roll in preparation for our Annual Meeting on April 6. We don't need to do a complete revision of the roll this year, with everyone signing up again, but we can add new members in time for this meeting. The deadline for signing up is March 22.Only those on the electoral roll have a vote at this meeting. 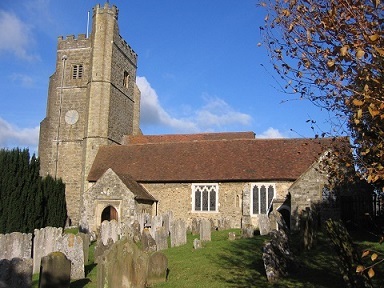 It is also the only way of being entitled to burial in the churchyard if you don't live in the parish, (interment of ashes is possible, at my discretion, however, wherever you live). also in the life of the wider church. 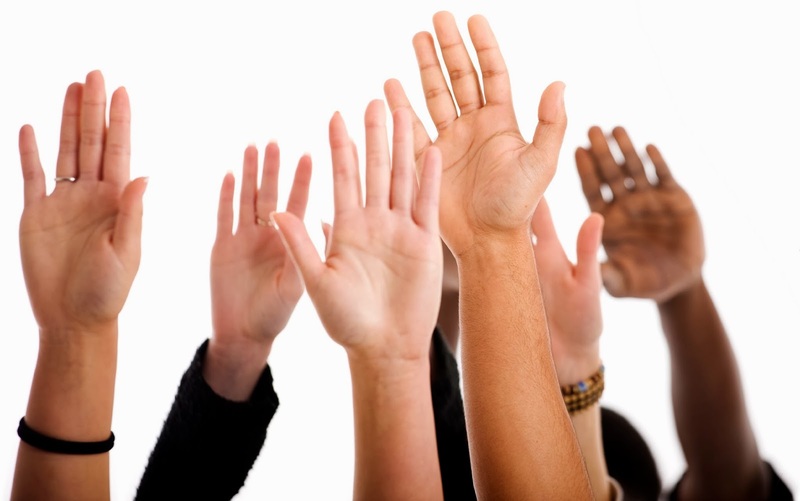 The number of lay members we can elect to our local Deanery Synod - the body of representatives from local churches in and around Sevenoaks - is determined by the size of our electoral roll. Those Deanery Synod members in turn elect our Diocese's lay representatives to General Synod, and this is the body which makes the crucial decisions about Church of England policies and practices. They determine things like whether women can be bishops and the Church's official position on gay marriage. If you've ever been frustrated at what "The Church" is doing or saying at its highest levels, then it's important to remember that it all starts with us here in parishes, making our views known through our Deanery, Diocesan and General Synod reps.
A recent review of the formula for calculating the number of lay reps we can have on Deanery Synod reduced the number for churches of our size (we currently have 112 on the electoral roll) from 3 to 2. If we could get 151 or more on the roll, we would regain that third representative - so it is over to us to see if we can do that by March 22nd, when the roll is closed until the Annual meeting. The race is on! You need to be over 16 and to have been baptised. to live in Seal parish, and declare yourself to be a "member" of the Church of England. There are no formal criteria for what "member" means - it is your own declaration. Or , if you don't live in the parish, to be a "habitual worshipper" with us in the six months before you apply. Or , if you are a member of another Christian denomination, (e.g. a Roman Catholic or Methodist) who has regularly worshiped with us in the six months before applying, you can declare that you also want to be considered a "member" of the Church of England, and still retain your membership of those churches too. If you would have come to worship with us, but have been prevented by illness or some other difficulty, you can still qualify - let me know if that applies to you, as this is judged case by case. As you can see, the entitlement is fairly broad, so if you think of Seal Church as "your" church and want it to have a voice in the wider church, as well as making sure your voice is heard here, coming onto our electoral roll really matters. If you aren't signed up PLEASE DO SO! The form for enrolling is here. Please fill it in and return it to me (Revd Anne Le Bas, The Vicarage, Church Street, Seal, Kent, TN15 0AR) by March 22nd.